perform the best home inspection possible. I have found that even the most beautiful home can have significant and costly issues that would only be found while doing a good thorough home inspection. The other half of this company is my wife, Becky. Northern California and has managed our business since day one. and the sending out of reports. This allows me to concentrate on the inspection and report writing. (narrative style, not a check list) covering every aspect of the home. a general overview for quick reference. "Thank you for the quick turn around .it doesn't get any better than this!" work your company has done- very thorough with great attention to detail. extremely impressed with Mark Thorman Home Inspections. reported on AND they included a photo for each item. 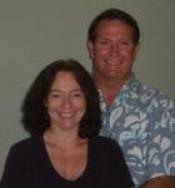 Mark Thorman Home Inspections to inspect all of our Maui investments." "First let me start by thanking you for doing such a thorough and concise inspection. The report was easy to understand and was extremely useful."